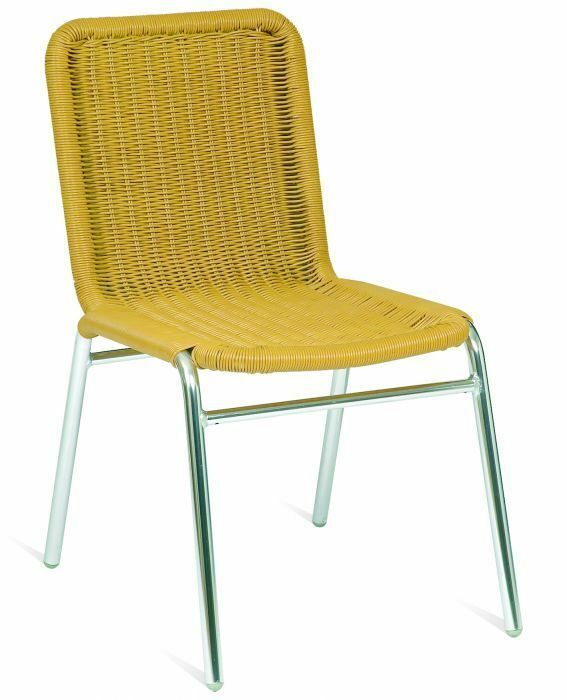 Outdoor aluminium chairs with a beige weave seat and back and durable Aluminium frame. Available from stock and delivered assembled and ready to use. Simple design outdoor bistro chair with beige rattan effect seat and back. Manufactured to a high standard, complete with a moulded beige colour weave seat.